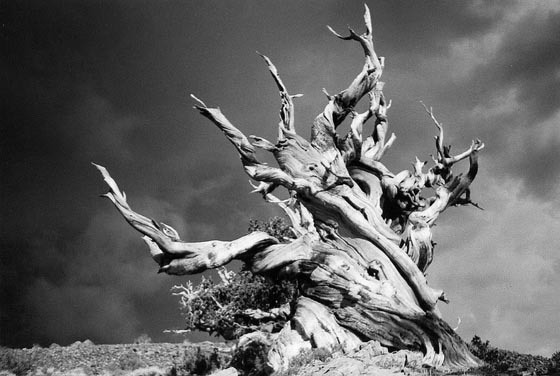 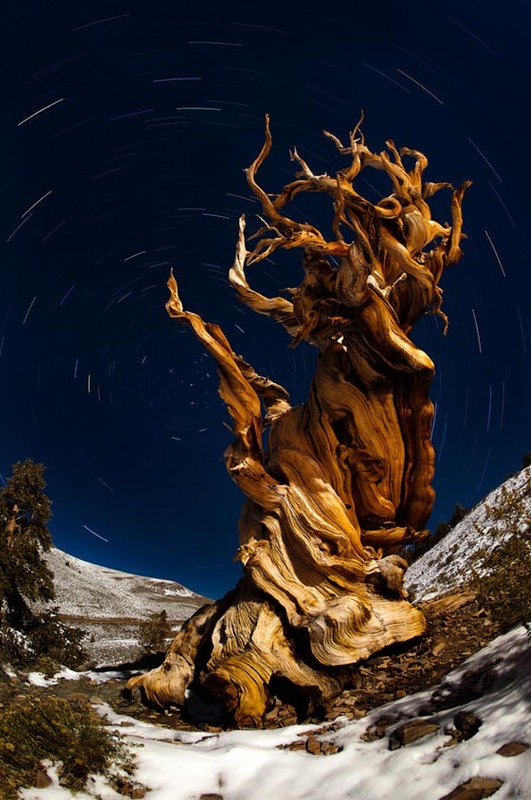 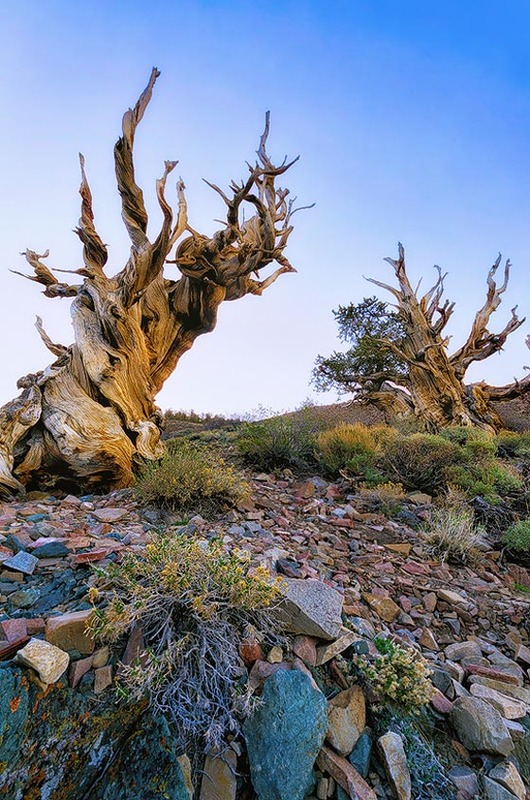 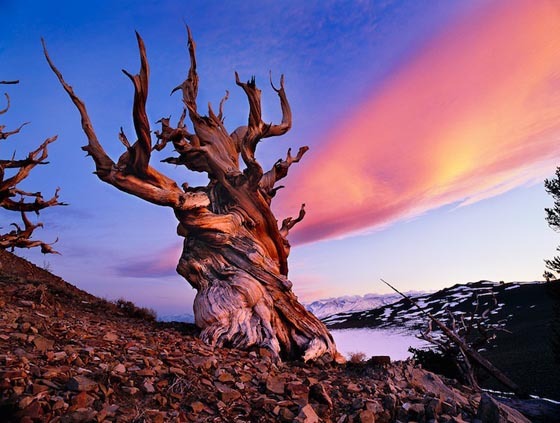 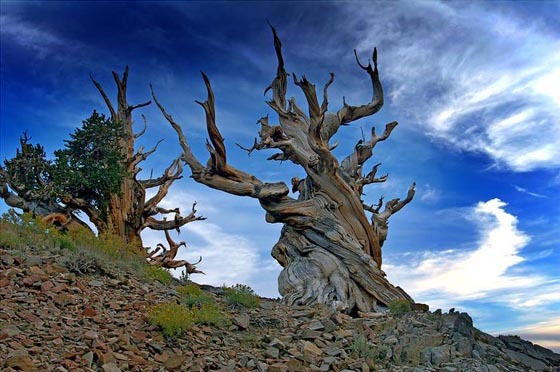 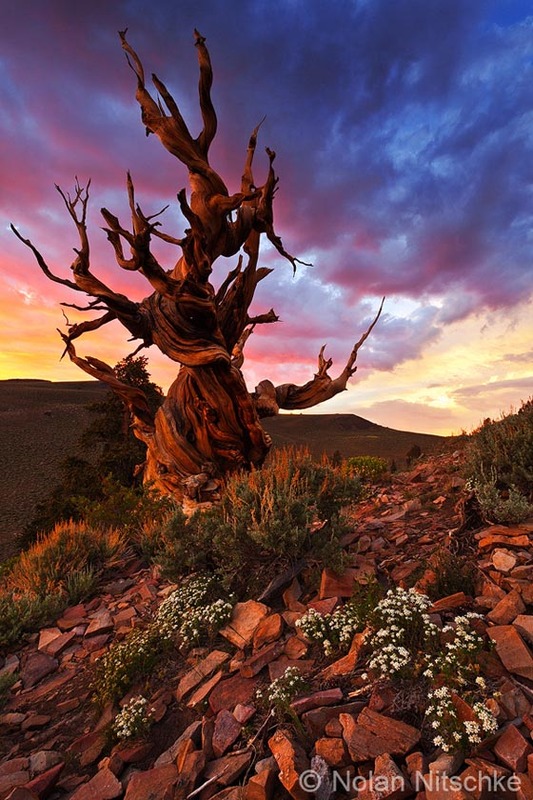 The bristlecone pines are three species of pine trees believed to live longer than any other known organism, up to an age of nearly 5,000 years. 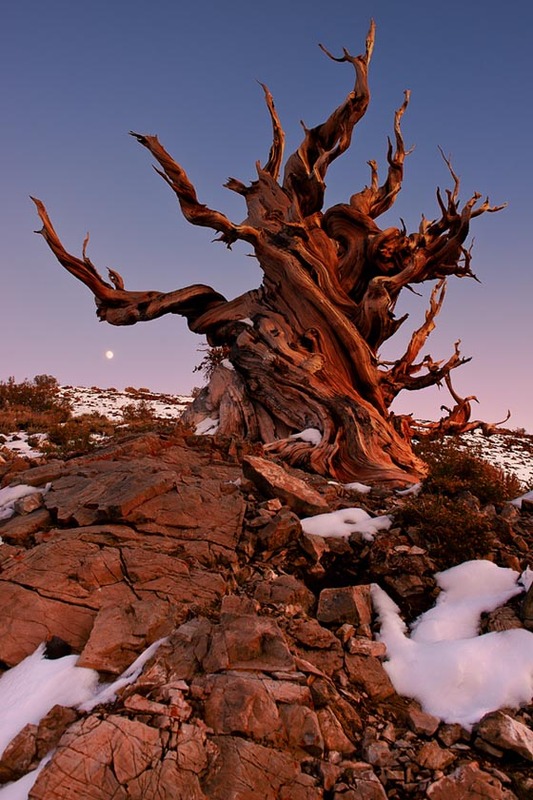 They’re grow in isolated groves between 1,700 and 3,400 m (5,600 and 11,200 ft) elevation on dolomitic soils. 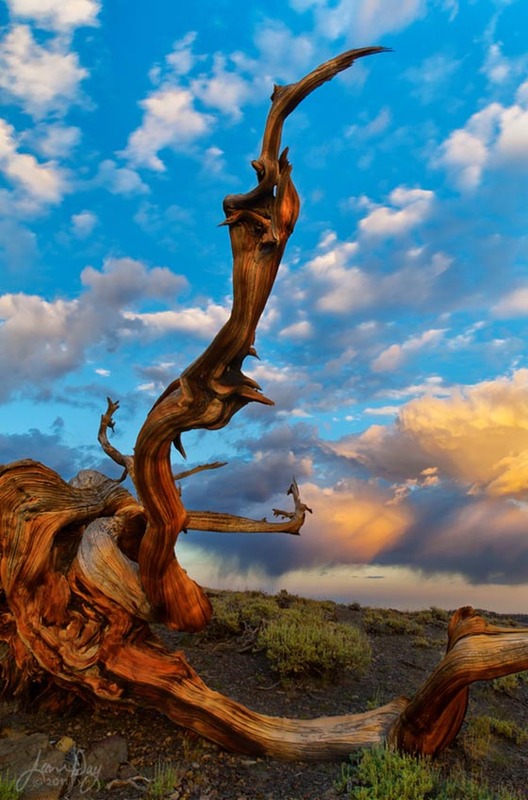 Because of cold temperatures, dry soils, high winds, and short growing seasons, the trees grow very slowly, which gives the tree’s terminal branches the unique appearance of a long bottle brush. 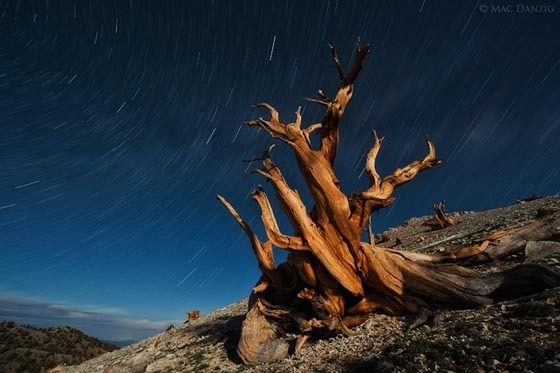 For most of us, we probably won’t be able to see those natural wonders personally. 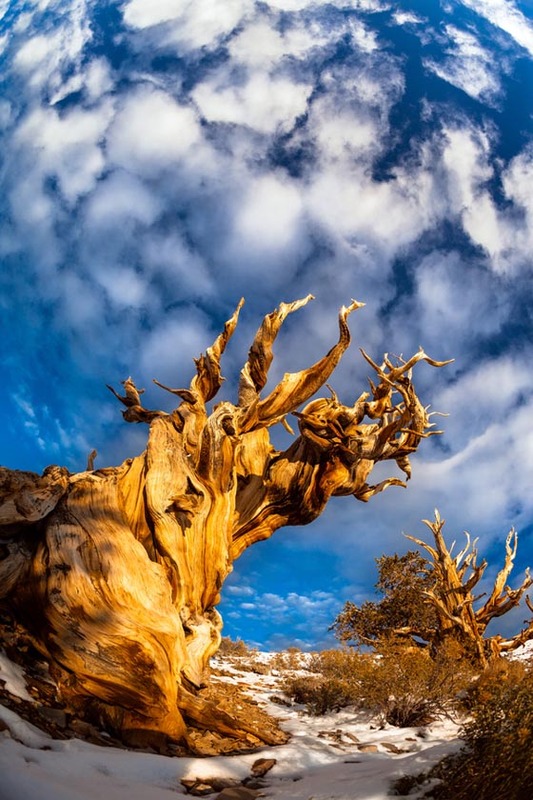 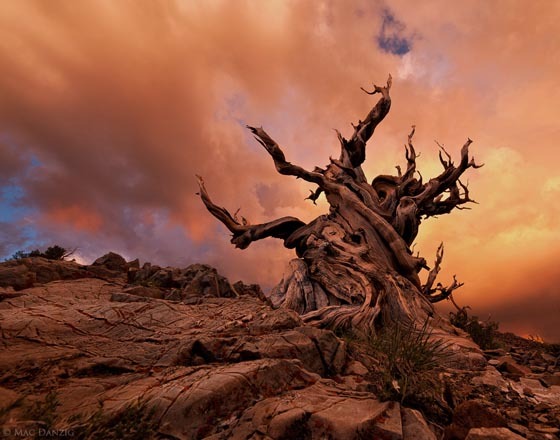 Thanks to those adventurous photographs who made their way to bristlecone pines and bring below awesome photos.